It’s Halloween season and although these Mexico national team stories are not scary, they surely are strange and bizarre. 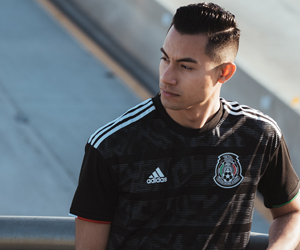 The FMF and El Tri are certainly known for crazy storylines, but these three stories might be the craziest that we’ve seen in its recent history. If you look back at Mexico’s involvement in the World Cup, you’ll see a quarterfinal appearance in 1986 followed by no participation in 1990. Since then, Mexico has made every World Cup, but what happened in 1990? Mexico had an elite player in Hugo Sánchez in this era, so not seeing them at the World Cup was absurd. However, it all goes back to the ‘cachirules’ in the 1988 CONCACAF U20 championship. The ‘cachirules’ of 1988 was a scandal in which four Mexican U20 players were in fact overage. It’s a move that made no sense and FIFA ended up giving Mexico a major death penalty for the 1988 Olympic games, but more importantly, the 1990 World Cup. Mexico lost out on an opportunity to play in one more World Cup with Hugo Sánchez, a player who was a legend at Real Madrid. It was a headscratcher scandal, especially with how many consequences came from such a bonehead move. Back in 2011, Mexico sent a very young team to the Copa América. During their preparation for the tournament, several players complained of theft from their rooms while in Ecuador. What transpired after that was a revelation that several players had hookers in the room, who ended up taking their belongings. Eight total players ended up being cut from the roster during the preparation for a massive opportunity to represent the country. Mexico, although they played well with the given team, failed to exit the group. Fans were left needing to erase what happened after such a successful Gold Cup tournament. Had the punished players been smarter and played with Mexico, they may have had a great opportunity to exit the group. In Mexico’s recent history, this has to be, by far, the most bizarre story surrounding the Mexican national team. The forward from Real Sociedad (at the time) started picking up a lot of notice with his play in 2012 and 2013, but one thing was unusual…he was rejecting call-ups to represent Mexico. In the Chepo de la Torre era, Vela was nearly absent for the entire tenure. He was gaining a lot of respect with his new club, so why was he ignoring national team play? Many point back to a fine and suspension he received, along with several others, after a celebratory win over Colombia in 2010. In reality, the fine was small and six months was insignificant at the time. He even returned to play in a friendly against Paraguay, but after that, he was gone. He was called for the 2011 Copa América but declined. He was called up for the 2011 Gold Cup, yet, he said no. Fans thought it was over in 2013 when Chepo was sacked and Mexico was in turmoil in WCQ. It was rumored he desired to return but he never did. Even with Piojo Herrera taking over the national team, Carlos Vela claimed to have no desire to go to Brazil 2014. This rejection was truly the most unbelievable given the circumstances. If we look back at that team, Carlos was playing at a high level, as well as other players, and it may have been Mexico’s best squad had he agreed to play. A nominee for La Liga’s best forward may have been the difference maker between a round of 16 exit and something special.